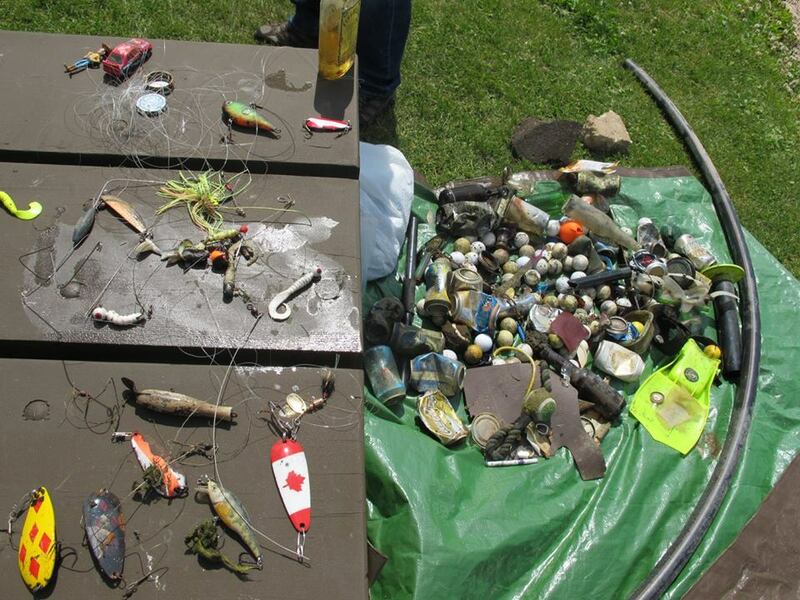 Thanks to everyone who helped out with the underwater clean-ups at Gregoire Lake this summer. Divers cleaned up the swimming area at the Provincial Park swimming beach, and the underwater swimming and triathlon area at Anzac beach. This helped save feet from being cut, and helped the underwater environment. 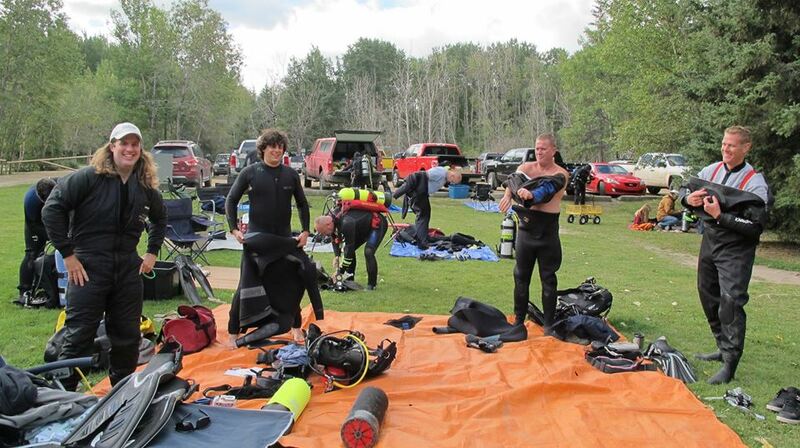 We had a wonderful turn out for the Annual Dive Rodeo event at Cold Lake. Thanks to everyone who came and helped out! Check out some photos on our Facebook page. 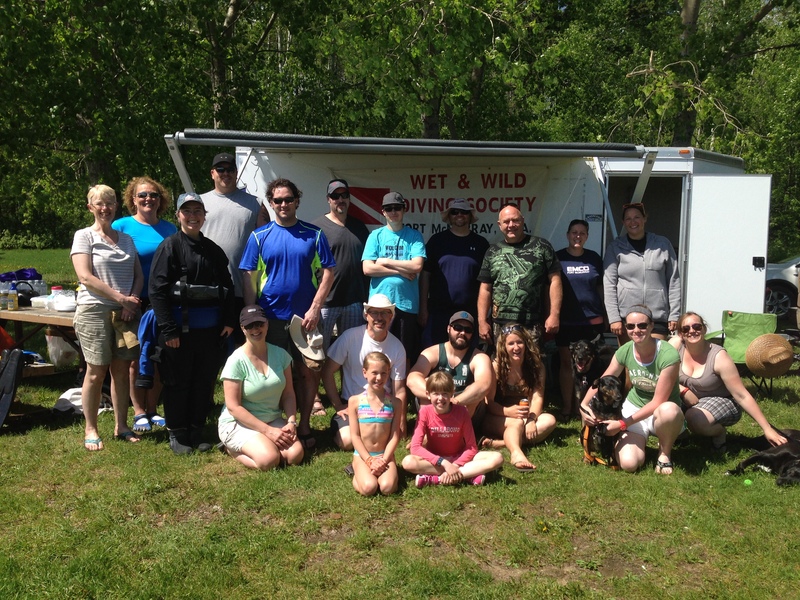 We had a fabulous time at Cold Lake with our annual Dive Rodeo. There were 21 divers, 7 non-divers with a bunch of activities designed to help build skills – especially orienteering skills! Thanks all the people who helped in various ways: coordination, purchasing and picking up prizes, communication, driving trailer, set up and take down, getting permits from the parks, getting food, getting tanks vis checked and filled, etc. Very appreciated and very fun! 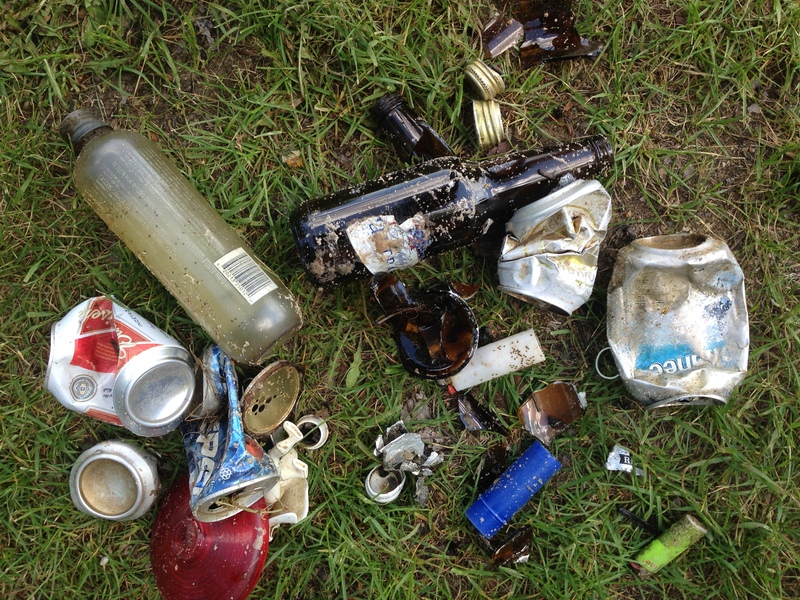 Here’s some of the garbage pulled from Gregoire Lake swimming area by our divers this June. Dangerous for kids’ feet! 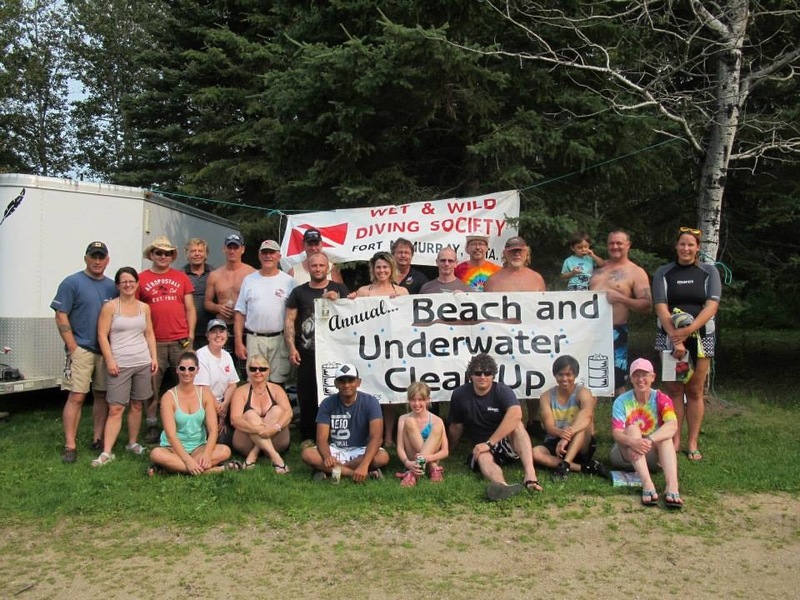 Thanks to everyone who helped at our annual Gregoire Lake Beach Clean-up in June, and helped with cleaning the entry area for the Triathlon. We had a great time! Thanks so much to everyone who came out to our March 22, 2014 Pool Rodeo. It was a great success. Thanks to Michelle and Patrick for all the great organizing. Join us at 7 p.m. at Fujis, for our annual Sushi feast. Bring a spouse or friend. $20 plus drinks. Contact Kitty so she has an idea of numbers please. set for Saturday Oct 26 from 11 to 1.
lead available for pickup Saturday morning at her place. We still have 4 scholarships of $1500 each to give to youth aged 21 and under, attending post secondary education. Check out the Scholarship page for details.